“A friend of mine teaches a 5-6th grade Sunday school class at Faith Lutheran in South County. He has the kids bring in a little money every week and, at the end of the semester, they vote on where to donate the money. 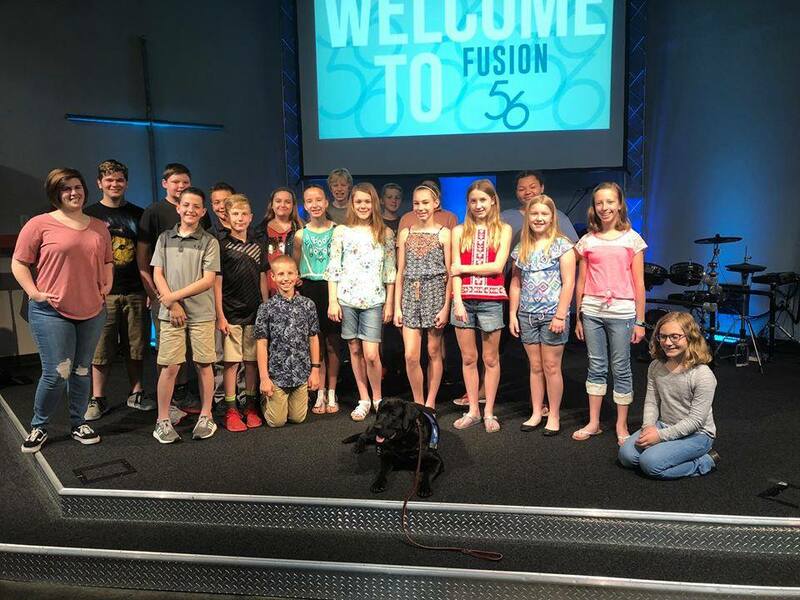 What started as a joke – the kids said they wanted to use the money for a ‘class dog’ – turned into a donation for Duo when my friend remembered my volunteer work with the organization and told the kids about it. They overwhelmingly voted to donate the money for our dogs, then Budde and I then made a surprise visit. I spent time talking to them about what I do as a volunteer, what Duo does for the community and their clients, and even showed them some of the commands Budde knows.